Michelle Demarest has been practicing law in Louisiana since 1991, and she has focused on divorce, family law and elder law matters since 2001. A proven litigator and former partner in another prominent area law firm, Michelle is also a certified collaborative professional who has completed extensive mediation training. She appears on the WWL New Orleans radio show "All Things Legal" and has provided commentary on Garland Robinette's program as well. Click Here to see Michelle featured in Sophisticated Woman Magazine. Michelle provides each client with clear, compassionate counsel and helps them target the least painful, most cost-effective solutions. 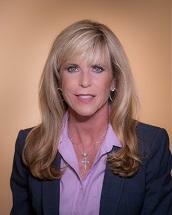 She is an attorney well-equipped to handle divorce, custody and property disputes at any level of complexity. Among other honors, she was named among the Northshore's Best lawyers by Sophisticated Woman magazine in 2009 and holds a BV Distinguished* rating under Martindale-Hubbell's peer review system.